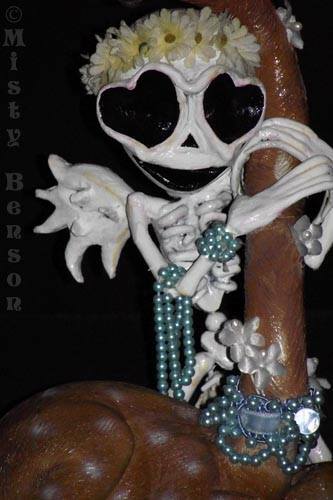 Original 5″x6″x8″ Mixed Media Acrylic Paperclay and Acrylic Sculpture – These little darlings have been unearthed from the Catacombs beneath Morbidly Adorable Manor! I have not listed original pieces since 2013! Get them while you can! 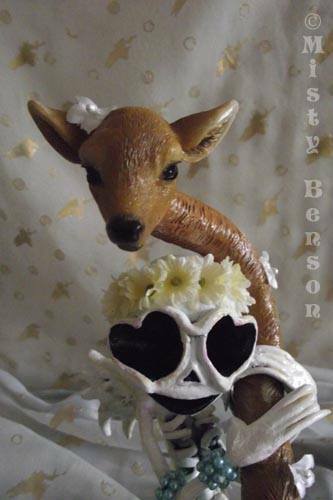 There is nothing like seeing a Dear Skelly with her Deer Friend!